Lower back pain can be extremely painful and hard to deal with. Many people have to deal with lower back pain some time in their lives and lower back pain is the single most reason for sick leave and disability. The lower back or lumber region is made up of five vertebrae and in between these vertebrae lie the disks. The disks provide cushioning to the back and prevent the vertebrae from rubbing together while protecting the spinal cord. Nerves go out from the spinal cord through openings in the vertebrae, providing muscles with sensory and motor planning messages. The back is further stabilized by a number of back muscles and ligaments and tendons. The reason for having lower back pain is varied. The disks lose moisture and flexibility over time and due to shrinking cause the vertebrae to rub together. 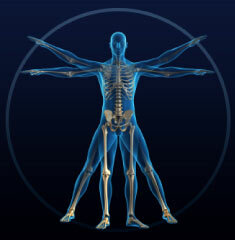 Also osteoporosis, rheumatoid arthritis or simply overworked muscles can cause lower back pain. For many people however, a slipped disk or herniated disk is the cause of all their lower back pain misery. A slipped disk or a ruptured or herniated disk is something you’ll have to learn how to live with. This condition can be diagnosed with an MRI. A disk that slips or is herniated will press on some nerves in the back causing pain ranging from a nagging pain in the back of one or both legs (sciatic nerve) to excruciating pain in the lower back. Once you know you have a slipped or herniated disk, you’ll be able to tell when a bad case of lower back pain is coming. Shortly before the extreme back pain, you’ll notice some slight tingling sensations in either you lower back or in your legs. This condition can be helped by a visit to the chiropractor or by physical therapy, but many people suffering from lower back pain simply don’t have the insurance to pay for it or they don’t believe in chiropractors. The slipped or herniated disk will become inflamed and increase the pressure on the nerves. It is therefore important to take a pain reliever that is also anti-inflammatory, such as ibuprofen. Take 2 tablets of ibuprofen 3 times daily for a number of days until the inflammation goes down. In addition, you should treat the affected area with an ice pack and a heat pack alternatively for a few times daily.